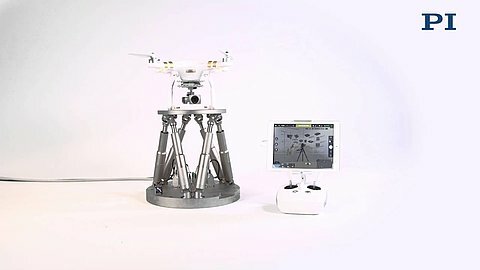 Google used a hexapod for testing the electronic video stabilization of a pixel smartphone. Using the six-axis parallel-kinematic system, Google simulates possible vibrations during video recordings, which are to be corrected reliably using algorithms. 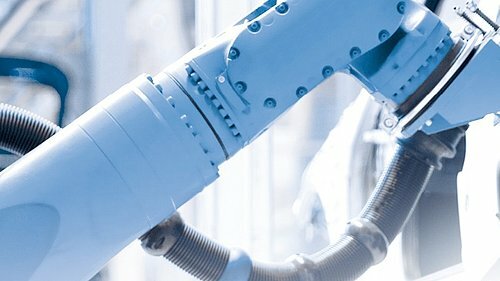 During the simulation, software engineers cause the hexapod including the smartphone to move along a predefined test trajectory with a frequency that corresponds to the trembling of a human hand. 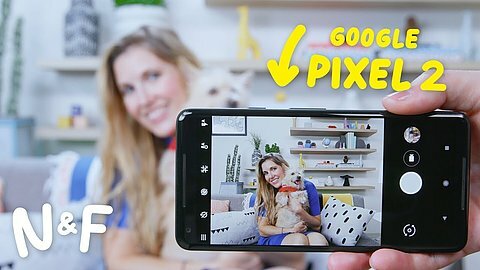 A look behind the scenes at Google: The sequence where the motion platform is testing a Google Pixel smartphone starts from 08:05 min. Because the smartphone is often held with a stretched arm or with the fingertips, the motion platform must "shake" the smartphone in several axes. At the same time, a high repeatability of the motion is required to guarantee reliable results. When testing the Google Pixel 2, this task is performed using a hexapod with voice-coil drives. 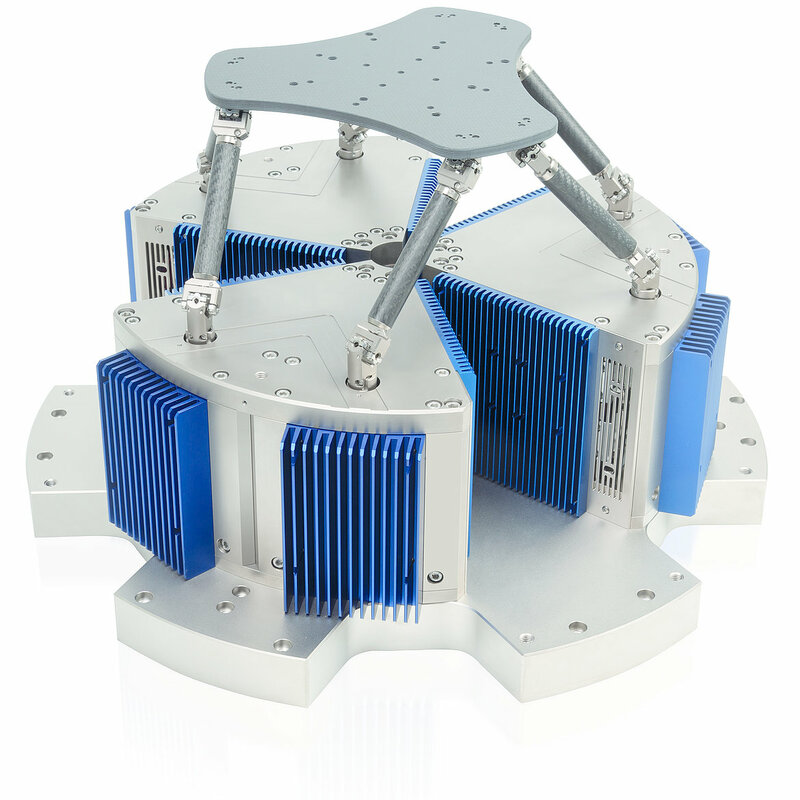 With the H-860 hexapod, simulation frequencies to 30 Hz and a repeatability of ±0.5 µm in X, Y, Z and ±9 µrad in the rotary axes are possible. The hexapod runs predefined motion profiles, sine curves and freely definable trajectories with high path accuracy. Due to the lightweight design consisting of extremely stiff carbon fiber parts with low moving masses, it is possible to achieve fast and precise motion as well as high acceleration. Motion in several axes can be achieved using serial-kinematic, i.e., stacked systems, or parallel-kinematic setups. Each actuator in a serial-kinematic multi-axis system is assigned to exactly one degree of freedom. 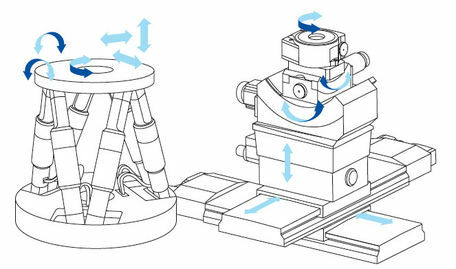 When position sensors are integrated, they are also each assigned to one drive and only measure the motion on the corresponding positioning axis. Any undesirable motion in the other five degrees of freedom, which for example, occur as a result of guiding errors of the individual axes, cannot be detected or compensated. In the case of hexapods, all six actuators act on the same platform. Therefore, guiding errors do not add up. In addition to the considerably improved precision motion, there are also further advantages such as the lower moved mass, because only the platform is moved and not the positioning systems for the other axes. This results in higher dynamics, considerably improved accuracy, as well as repeatability and travel accuracy for all motion axes. Because no cables are dragged, precision is not restricted by friction or torque. 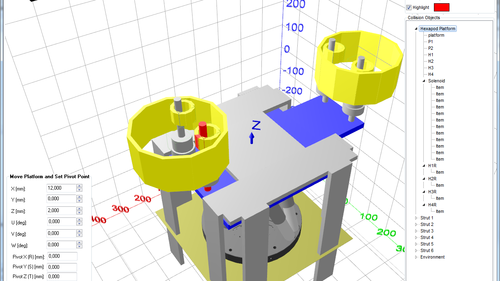 The freely definable rotation or pivot point is an essential feature of the hexapod. This makes it possible to match the motion of the hexapod platform directly to the orientation of the camera. 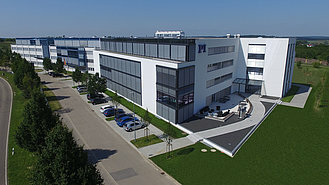 In order to test the image stabilization, drone manufacturers, for example, use hexapods to simulate the drone movements and test the quality of the camera recordings. This task can be performed by a CIPA-certified hexapod with brushless DC motors.